Bridal Wedding Jewelry Crystals Necklace Bridesmaids NEW. 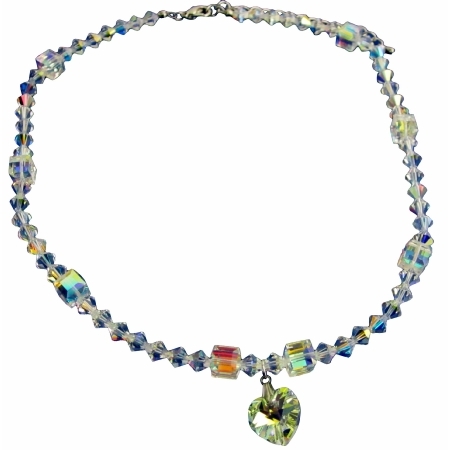 Gorgeous all 100.Percent Swarovski Crystals AB faceted Bicone & Cube Crystals with cute AB Heart Dangling! All A Grade & Material are used to make this beautiful Heart Pendant Necklace.